IAM Local 44 members from Decatur, AL employed by United Launch Alliance will build the massive Atlas V launch vehicle for the Mars 2020 mission. 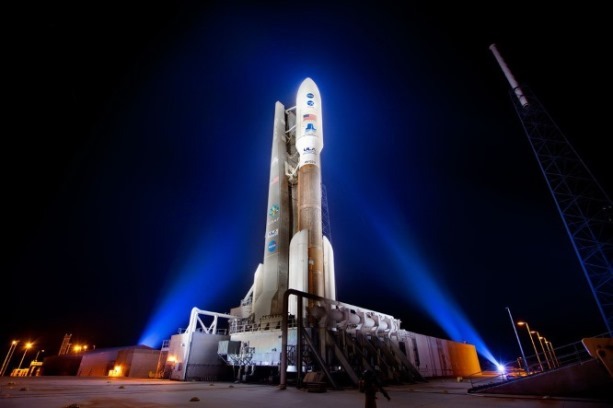 NASA has selected IAM members at United Launch Alliance (ULA) to build and launch the reliable Atlas V rocket to carry its next robotic science rover to Mars. The mission is known as Mars 2020. ULA’s successful track record, and its experienced Decatur, AL IAM Local 44 employees, helped win the production contract with NASA over competing contractors. The Mars 2020 mission is scheduled to launch in summer 2020 from Cape Canaveral Air Force Station in Florida. The rover mission is part of NASA’s ongoing Mars exploration program, a long-term effort of robotic exploration of the Red Planet. The program seeks out important scientific information, including the potential for life on Mars.